Hong Kong’s towering Global Trade Square, an iconic Rubik’s Cube shaped o!ce building in the Wong Chuk Hang industrial district, is an epicenter for global commerce. 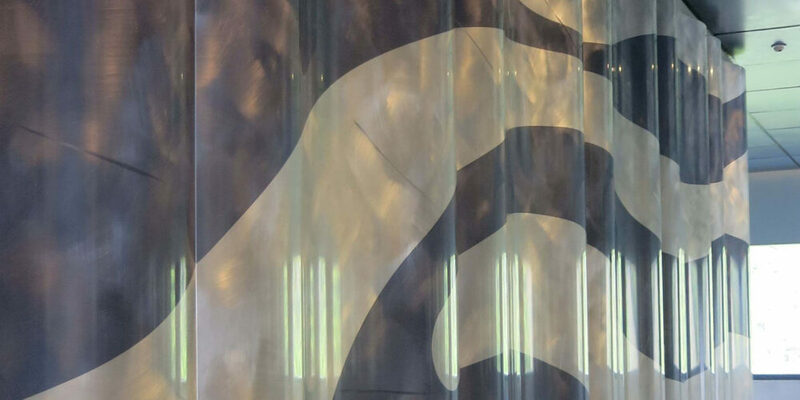 Completed in 2013, the building circulates over 6,000 occupants every day on its 36 stories, including major clients from the world’s leading industries. For every high-rise building on the island of Hong Kong, the Hong Kong building department requires an independent “refuge floor” to be installed and dedicated to public safety in the case of an emergency. When not in use for these purposes, the floors are often frequented by visitors and treated as urban gathering spaces for residents. 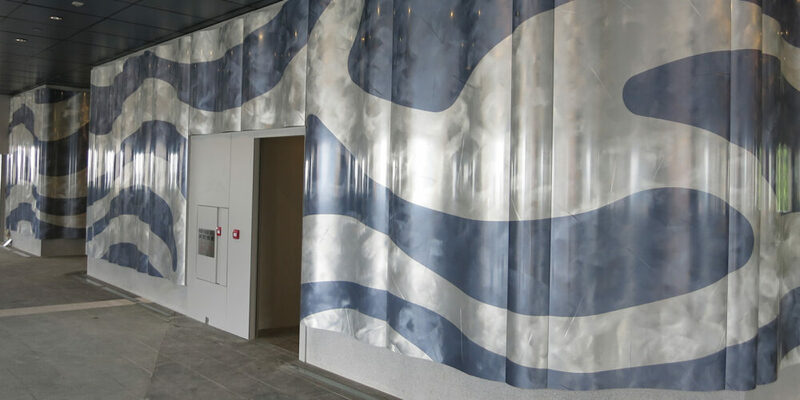 The refuge floor at the Global Trade Square features a Móz metal wall feature that wraps around a utility block on the building’s 17th level. 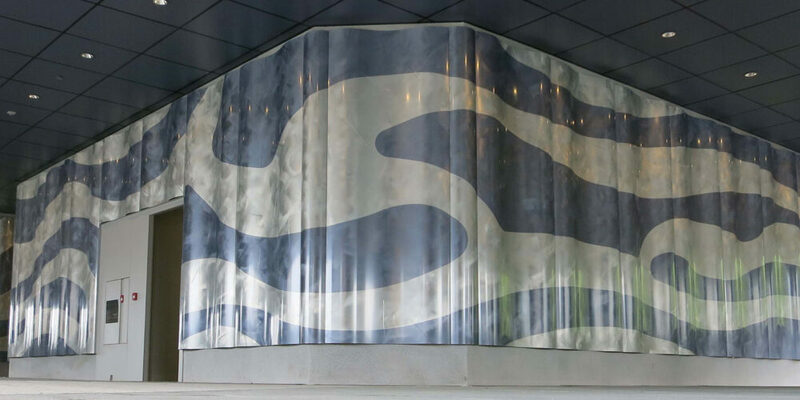 The team at Móz interpreted plans from landscape architect, AXXA Group, and proposed a Tides Breaking Waves wall system and dynamic Digital Imagery. With expansive area around its perimeter, the refuge ﬂoor at Hong Kong’s Global Trade Square is open to the public every day. Tenants often meet at the site for breaks and to enjoy the city’s pristine views of Sham Wan and the Aberdeen Channel from the surrounding open air pavilion – highlighted by this uniquely-designed Móz metal installation.